Do you want to add a Pin It button to your images in WordPress? Being able to share your slider images from WordPress to Pinterest is a must-have feature for today’s world of social networking. Soliloquy easily enables your sliders to allow visitors to pin your slider’s images to Pinterest with the click of a button. 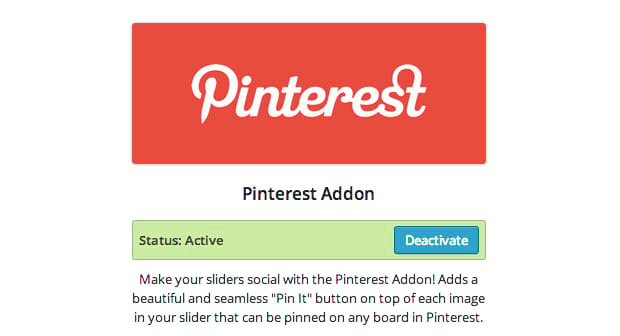 The Pinterest button addon is available for all those with a Multi License or higher. Check out the video walkthrough below or proceed ahead to the text tutorial. In this walkthrough, we are going to guide you on how you can use Soliloquy to pin your WordPress slider images to Pinterest. These simple steps will walk you through the process. The first step is incredibly easy. Any veteran user of Soliloquy almost certainly already has their license verified. But if you are just getting started, follow our guide on how to verify your license. Next, you need to install and activate the Pinterest addon. With the addon activated, you now have the option to enable a “Pin It” button on your images. Once you choose the slider you want to be able to be shared on Pinterest, go to the Pinterest tab. From there you will see a few settings. After you choose to Enable the Pin It Button, all you have to do is is decide which corner to add the button and its color — Gray, Red, or Black. Next, you will need to Publish or Update your slider. Then add your slider to a post or page if you have not yet done so. Finally, check out the slider live on your website! Good job! 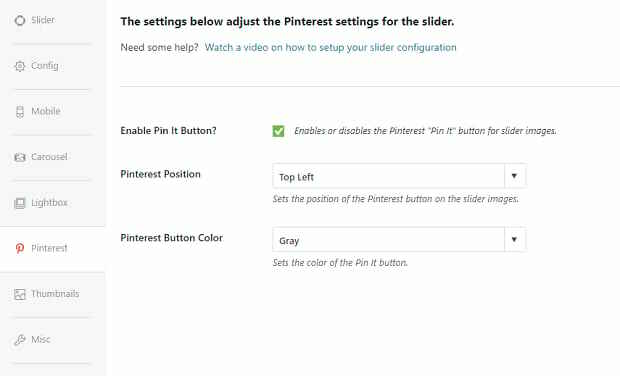 You just made a Pinterest WordPress image slider by using Soliloquy! Soliloquy has many other addons; check out our guides on creating WooCommerce product sliders or automatically linking your Instagram feed to a carousel! If you enjoyed this article, please lend us a follow on Facebook or Twitter to see more tutorials.